Birthday celebrations, company anniversaries, gala dinners or panel discussions: The Georgie offers a wide range of possible uses. 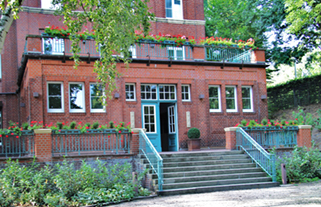 Two different halls and a large garden provide enough space for events with up to 300 guests. The main hall has a size of 155 m². There are two further lounge areas attached. 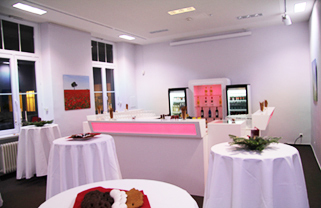 Receptions can be held with up to 300 guests. Banquette seating can be realized with up to 70 guests. In seating rows, there is space for up to 150 guests. 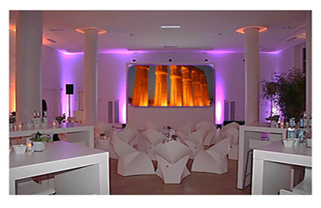 Right beside the main hall, there is the 2nd event room ‚Georgie Junior‘ (50 m2) offering space for up to 50 guests. 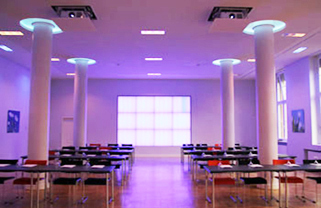 The room can be used in combination or separately. Meetings (banquette seating: 20 persons, theatre style: 40 persons). The ‘Georgie Junior’ can also be used for putting up a buffet or bar. The Villa offers a spacious backyard and a beautiful terrace. It’s perfect for receiving guests. Optionally you can put up a tent or a pavilion out of doors. We will gladly offer you the entire location for your events.